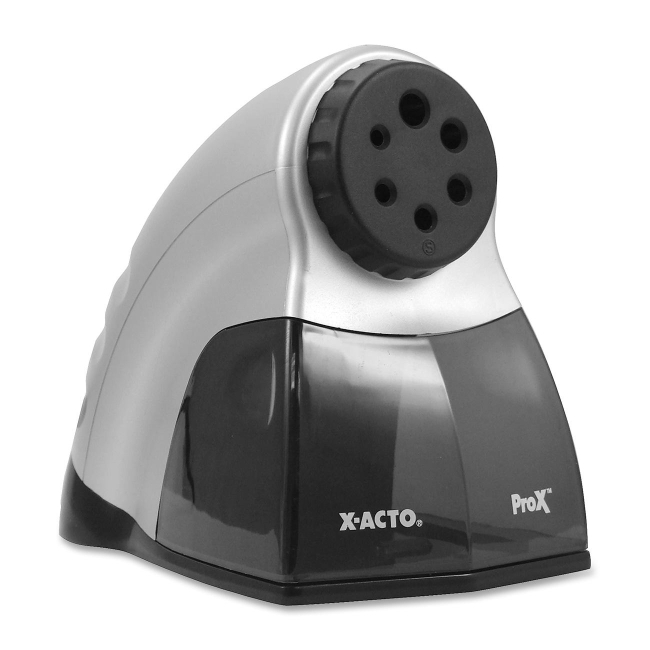 X-Acto Prosharp Electric Pencil Sharpener is designed for high capacity with an extra large shavings receptacle and six different sized pencil holes. Smart stop feature shuts off the sharpener and a light illuminates when pencil is sharpened. Heavy-duty design is quiet, fast and safe. Sharpeners will not start unless receptacle is in place.